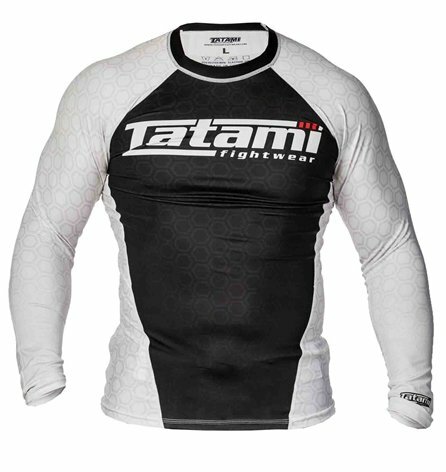 Tatami Ranked Long Sleeve Rash Guards are comprised of ultra-high quality poly-spandex material. 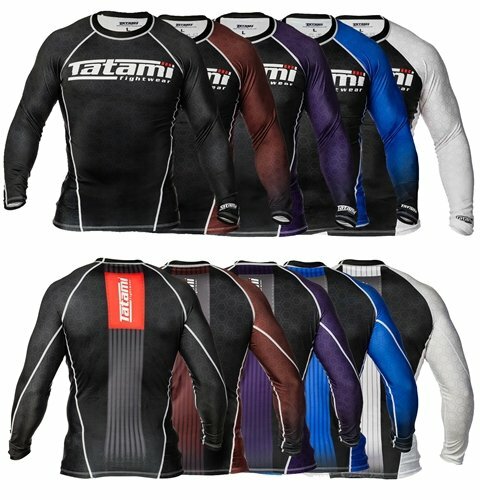 And come in striking colors, all of which are sure to comply with the IBJJF No GI uniform requirements. 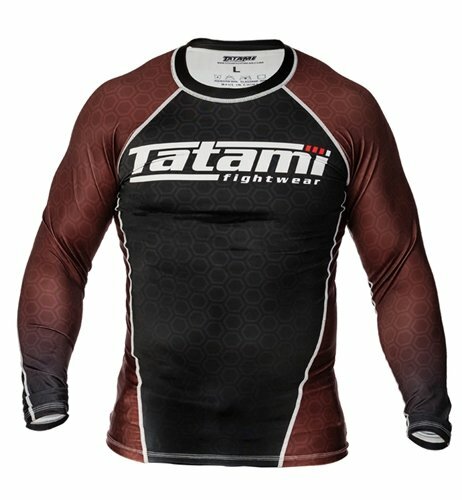 I’ve been using this rashguard for almost a year. There is nothing I can complain about it. 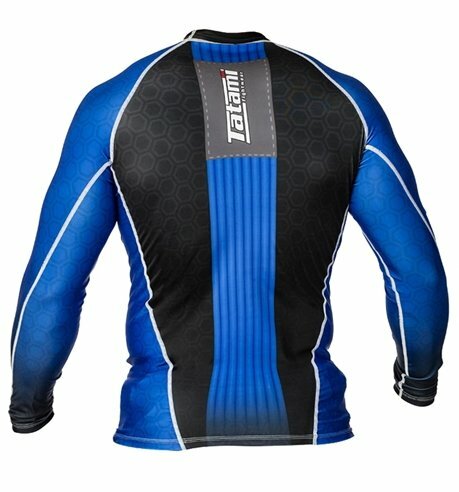 It fits me well, keeps my body warm and makes rolling more pleasant when wearing it. I scratched the front on my rashguard with the velcro from my shorts. 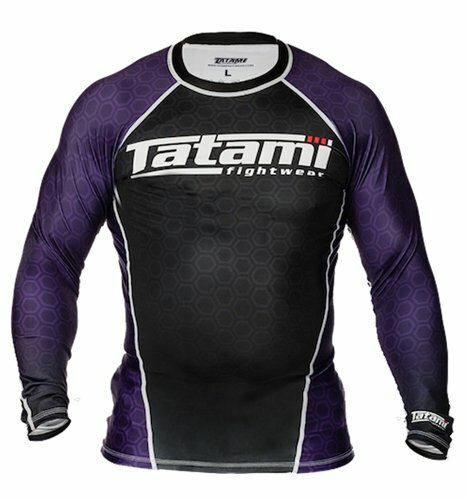 So make sure your short’s velcro is fully covered as that can ruin any rashguard. The Tatami Ranked Long Sleeve Rash Guards are truly astounding in terms of their overall fit and level of comfort. While there are no actual designs available at this time, there are some really great color options. 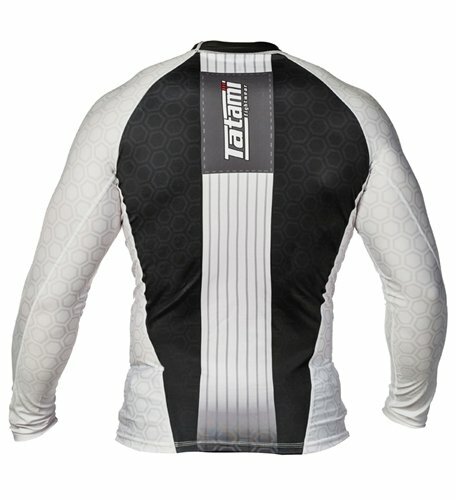 And given that they are super lightweight and breathable, you really can’t go wrong with these rash guards. 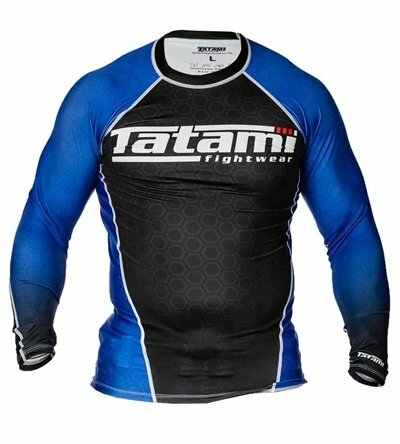 This is just a short summary of all consumer reviews found online, who have purchased and used Tatami Ranked Long Sleeve Rash Guard before. 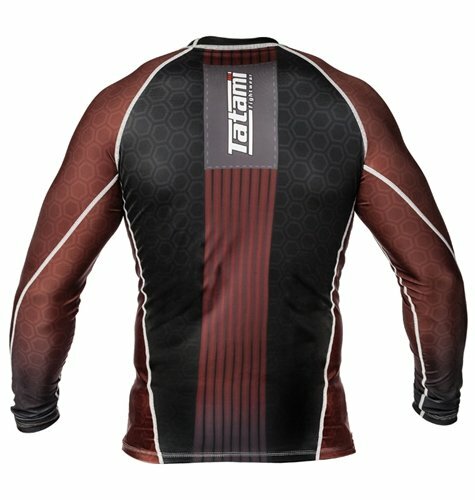 It still needs to be fully tested and reviewed by MMAGearAddict team. We are NOT being paid to review this gear. However, we may earn affiliate commissions from the shopping links included on this page. These commissions do not affect how we test, rate or review products.